We are a leading Manufacturer of fruit display rack, vegetable display rack, supermarket vegetable racks, vegetable and fruits rack, ms vegetable rack and fruit vegetable display rack from Delhi, India. Our clients can avail from us an exclusive range of Fruit Display Rack. These fruit racks are designed to ensure maximum hygiene by enabling easy cleaning and maximum air circulations resulting in a long life of the fruit and easy consumer handling. 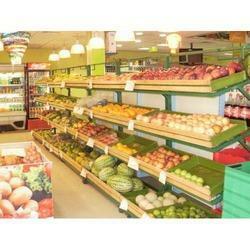 Our Fruit Racks are highly demanded all across the globe for its vast features & specifications. 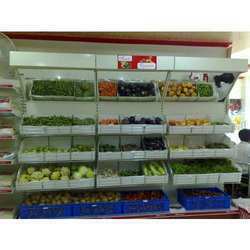 We are one of the leading manufacturers of a superior quality array of Vegetable Display Rack. Offered products are used for keeping the vegetables in the stores and shops. For the fabrication of these products, our professionals make use of high-grade raw material and cutting-edge technology in complete compliance with international quality standards. Leveraging by the vast experience of this domain, we offer the superior quality of Supermarket Vegetable Racks to our esteemed patrons. 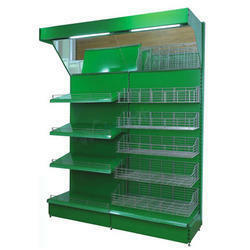 Made by using the latest technology, the offered vegetable rack is used to store and display vegetables in supermarkets. 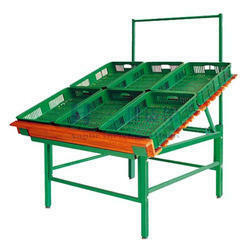 Rendered by us at cost-effective prices, the offered vegetable rack is known for its durable construction. 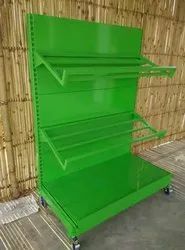 Benefiting from our cooperative energies as a vertically coordinated organization, we are figured as a famous firm of the finest quality Vegetable and Fruits Rack. With years of experience in this domain, we have carved a niche for ourselves for offering a supreme quality MS Vegetable Rack. 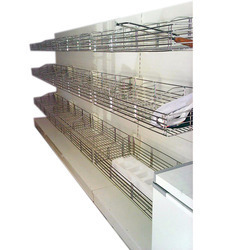 Our offered rack is highly acclaimed in both national as well as industry market due to its alluring design, sophisticated look and pattern. 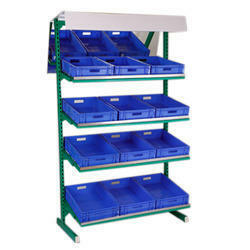 As per the latest market trends & styles, our offered rack is manufactured & designed using innovative tools & equipment. Moreover, our offered stand can be availed by our clients' at a nominal price. 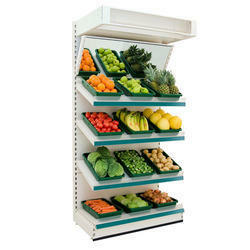 We offer Fruit Vegetable Display Rack to our clients. 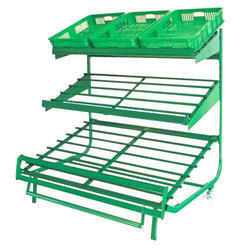 We offer Steel Supermarket Vegetable Rack to our clients.